Although Labor Day has come and gone, many people still enjoy having barbecues, even in the fall. Your garage can be easily converted into a perfect party venue complete with indoor and outdoor access, electricity, room to move, and more. While throwing an event in your garage can be tons of fun, there are some safety concerns to address before having your guests over. Garages can be home to dangerous insects, toxic chemicals, sharp tools, and other safety hazards, so it is important to prepare your space ahead of time. 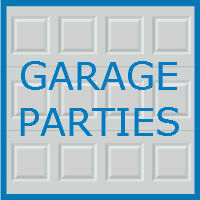 This week, we are exploring a few safety concerns you should address before hosting a party in your garage. If you have not cleaned your garage in a while, do so before hosting an event in the space. Excess junk and clutter around your garage not only hurts the ambiance of your event, but it can also be a safety hazard. Your guests should be able to move around freely without any risk of tripping or bumping into things. Additionally, make sure that any boxes or items you have stored on shelves are secured and will not fall on your guests. In general, the more you can clear out the area, the better. Nobody wants to BBQ with a bunch of creepy crawlies nearby. Many Illinois insects, such as bees and wasps, can also harm humans, so it is important to ensure your garage is critter free before opening your doors to guests. Additionally, bugs like ants and flies can swarm around any food you offer at your event, so be sure to keep the smaller insects away as well to avoid any health concerns. Do not forget to look up and remove any bee or wasp nests hanging from the roof of your garage. Typically a garage is a great place to store shovels, rakes, lawnmowers, and other household tools. When you are hosting a party, however, these types of items need to be moved. Any sharp tool could be a safety concern, especially if children are attending, so it is best to move these items to a shed or somewhere secure. Grilling is a wonderful activity, but it can also be dangerous if not done properly. Remember to use caution when lighting your grill to avoid any potential explosions or fires. Additionally, only use the grill while outdoors, and do your best to station it somewhere a bit away from your garage to lessen the risk of fire or damage to your garage. On a similar note, while fireworks can be fun, avoid using them near your garage or home, as they can also be potentially dangerous to humans and to homes and garages. Garages are great locations for storing chemicals and liquids like paint and gasoline. If you are hosting a party, however, be sure to move these chemicals, as they could be a potential safety hazard for you and your guests. Children especially enjoy exploring, so be sure to move any chemicals either out of the garage completely or into a safe, preferably locked cabinet. 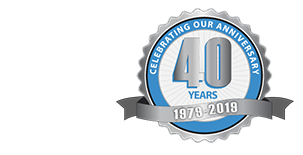 At Blue Sky Builders, we believe in great customer care and service from our team of friendly garage specialists. If you are looking to build, remodel, or simply improve your existing garage, the team at Blue Sky Builders is here to help. Visit Blue Sky Builders online or call 630-852-8485 today to learn more.